By the end of 2011, two thirds of U.S. airline passengers will be asked to step through one of 1,000 new Rapiscan X-ray machines. But some scientists are concerned about the unprecedented radiation exposure coming along with them. 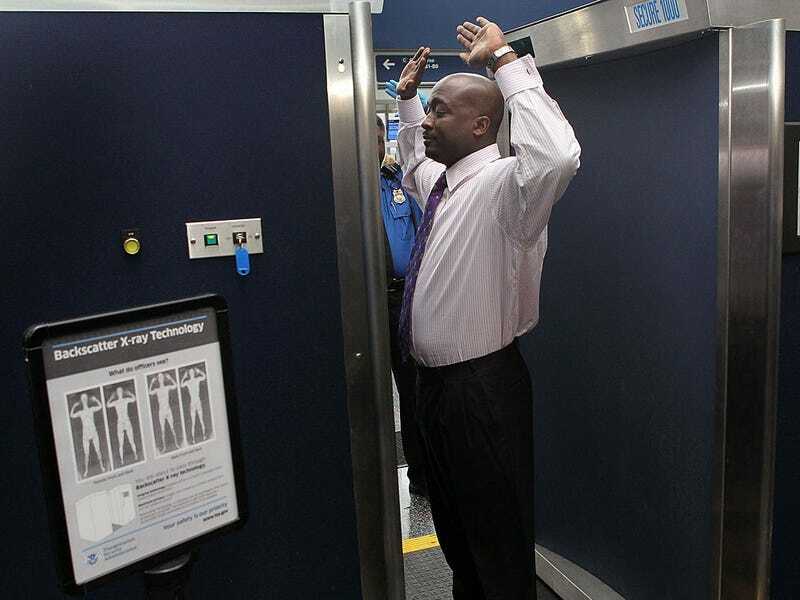 Specifically, they're worried about the half of the machines that are classified as back-scatter scanners, which use low-energy X-rays to peek underneath passengers' clothes. Such machines are already in place at 23 American airports, but by the end of next year they'll be a security standard. That has many scientists very concerned. A group headed by a biochemist from the University of California, San Francisco, says that any ionizing radiation can potentially lead to chromosome damage and, eventually, cancer. He and his colleagues have written a letter to the President's science advisor urging for further studies on the effects of radiation from the new scanners. "There really is no other technology around where we're planning to X-ray such an enormous number of individuals," Brenner told the caucus and congressional staffers. "It's really unprecedented in the radiation world..."
Recent research, Brenner says, indicates that about 5 percent of the population - one person in 20 - is especially sensitive to radiation. These people have gene mutations that make them less able to repair X-ray damage to their DNA. Two examples are the BRCA-1 and BRCA-2 mutations associated with breast and ovarian cancer, but scientists believe many more such defects are unknown. "I don't know if I'm one of those 5 percent. I don't know if you're one of those 5 percent," Brenner says, "And we don't really have a quick and easy test to find those individuals."